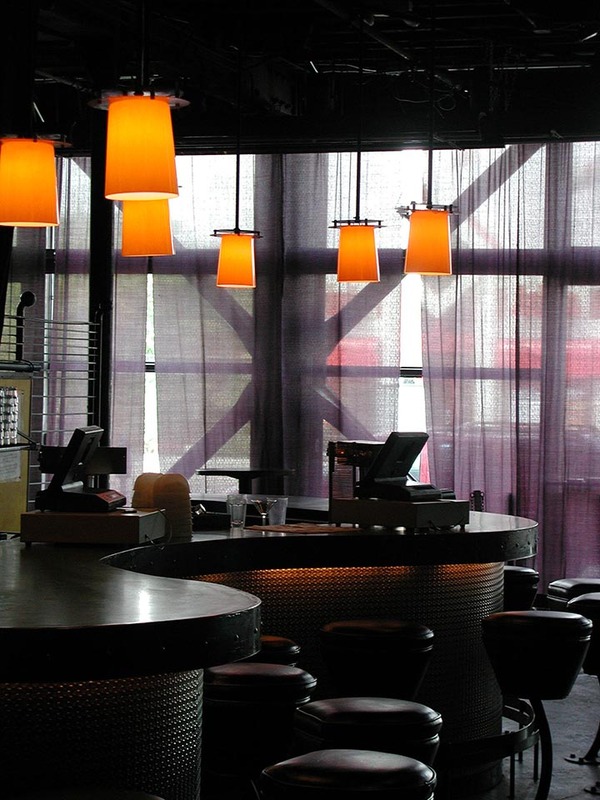 This nightclub in historic downtown Denver was designed with a dynamic “transparent” facade that allows the activity inside the club to melt onto the sidewalk. Just inside the entrance, the curvilinear bar encourages movement into the club. The code-required structural bracing at the facade was designed to create a contemporary unifying context for the historic building. The second floor structure was reinforced with custom trusses, which neither lowered the first floor ceiling height nor added columns in the dance floor.